Britain's richest man Jim Ratcliffe's oil and gas company Ineos Group Holdings is in exclusive talks with ConocoPhillips to buy North Sea oil and gas fields worth $3 billion from the U.S. energy company. 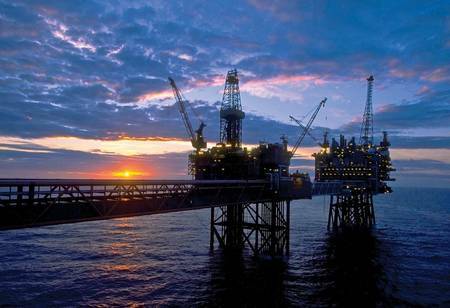 Various news paper reports say that British petrochemicals company has confirmed it is negotiating to buy several North Sea oil fields from U.S. energy giant. The Sunday Times, which first reported the story, said that the period is said to be set to three months after the entity registered in Switzerland agreed to pay a "substantial" deposit. Accoding to the Financial Times, the potential deal, which has a price tag of more than $3 billion according to industry sources, could transform Sir Jim Ratcliffe’s company into a major operator in North Sea oil and gas production, building on other acquisitions and its ownership of infrastructure, refineries and chemical plants fed by the basin. The fossil fuel heavyweight owns 7.5 percent after it agreed to an asset swap where 16.5 percent went to BP. The Financial Times learned from insiders that Neptune Energy and Chrysaor were also interested in the assets now on sale. Conoco said last week it will market the North Sea assets including its holding in the Clair Field, west of the Shetland Islands, which produces about 21,000 barrels of oil a day. The U.S. explorer plans to invite bids by the end of the year for the assets, which would include what’s left of its holding in the Clair Field, Bloomberg News first reported last week. The oil major on Sunday said the negotiations with Ineos won’t include its Teesside or London assets, and declined to comment any further. BP recently bought a 16.5 percent stake in the Clair field from ConocoPhillips, giving the U.K. oil giant a total holding of 45.1 percent.